I was born in Newcastle upon Tyne in 1955 and attended Bath Lane Art College in 1982, but it wasn't until I moved to London in the 90s that I rediscovered my interest in art as a way of entertaining my three young daughters. After finding success as a member of several local art societies I began to exhibit and sell my art on London's Bayswater Road. It was here that my work was picked to be part of a collection sold at John Lewis department stores nationwide. 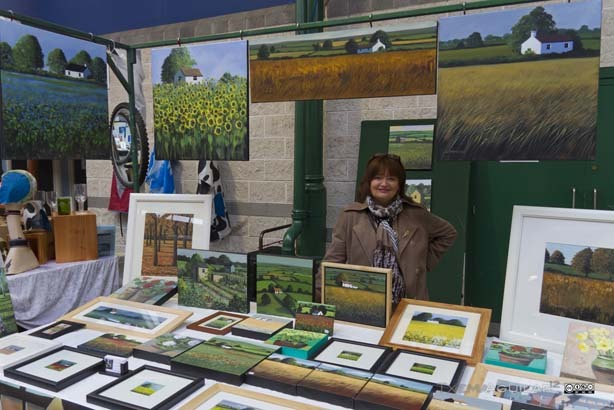 I now live near Belfast in Northern Ireland, and sell my work through galleries, restaurants and St. George's Market, which I attend on alternate Saturdays. Please get in touch if you have anything else you'd like to ask me about my work.